These web pages were created in SINCO PLUS project (1.4.2011 – 31.3.2013) managed by University of Lapland and funded by European Social Fund. PLUS is an abbreviation deriving from the Finnish words meaning “new applications and accumulation of knowledge in service prototyping”. PLUS also refers the project being a follow-up part of the previous Service Innovation Corner (SINCO) project which focused on building and equipping of the physical SINCO laboratory infrastructure funded by European Regional Development Fund. In SINCO PLUS project, SINCO lab-based service prototyping methods and working patterns with companies and public organizations were developed in co-operation with research and development operations in the Faculty of Art and Design. 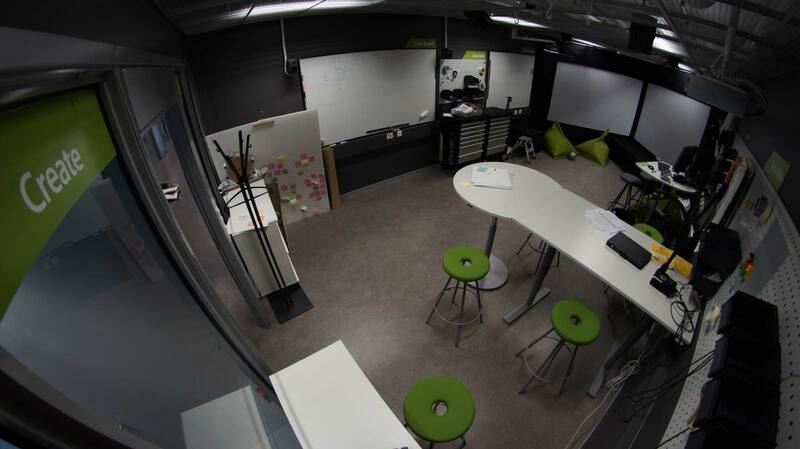 Since then the lab has served as a central facility in various service design research projects of University of Lapland, including the project “Tunteesta arvoa palveluun” (Tekes) during 15.10.2013 – 30.6.2014 and the ongoing Need for Speed –project, funded through SHOK-program (the Strategic Centres for Science, Technology and Innovation) during years 2014-2017. The following companies and organizations have collaborated with SINCO projects through case projects since 2009: Kl-Kopio, Ranua Zoo, Lappset Group Oy, Nokia Research Center, City of Rovaniemi, UNICEF, Mainostoimisto Seven-1, Lapin Kansa, Airvisio (formerly Termo Vision), Veho, Rea-Talo, Rovaniemi Library, Rovaniemi Theatre, Santa Park, Danske bank, Norrhydro, Lapland Safaris and Kone Oyj.